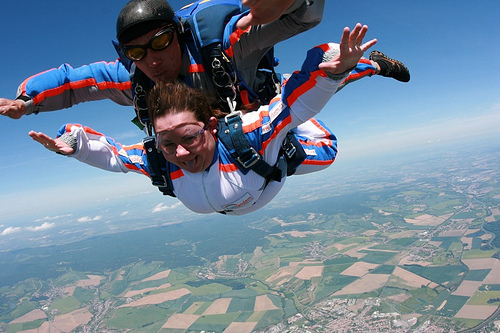 Can Taking Risks Improve Your Self-Esteem? Too many people suffer from low self-esteem. However, there are a lot of great ways you can improve your self-esteem. Did you know that if you take risks, your self-confidence and self-image will get a significant boost? Consider some of the following ideas to increase your confidence. Are you painting a room in your home? Taking even a small risk such as painting a wall with a bright or bold accent color, rather than a neutral color, is a small step that can send you in the right direction. Though it may not seem like much, these small steps are a big deal. The more small risks you take, the closer you will get to taking big ones. Before you know it, you’ll have the confidence and self-esteem that you envy in others. You’ll feel amazing every time you walk into your home with a bold red wall. You want to give yourself and your family new experiences, right? Consider moving outside of your comfort zone, literally. Does your company offer positions in other parts of the world? Go ahead and apply. The experiences that you and your family will have in a completely different part of the world will help everyone grow. If you have young children, these experiences will shape them, and help them become better, more confident people. Plus, it will help you learn to be more confident in your decisions and your life in general. If you ask people what’s one of the most terrifying things they can think of, they’ll say that it would be leaving the stability of their jobs. Sure, tons of people hate their job, and would give almost anything to leave and instead do what they love. However, actually taking that step is extremely scary. It’s important to keep in mind however that if you take the leap of faith, the rewards can pay off like hitting it big in a slots game. Your confidence in yourself will soar as you realize that you’re able to achieve your dreams. For those who don’t’ have very low self-esteem, this may seem silly. However, if you have low confidence, you know that talking to someone new is a big deal. Take the risk. When you talk to someone new, you’re taking the risk that they won’t want to talk to you. However, the more likely response is that you’ll make a new friend. Whether you’re at a party, at the office, or just at the grocery store, find someone and start talking to them. It doesn’t matter what the topic of conversation. The point is that you’re taking the risk to start the conversation. When you take risks, you have the opportunity to fail. However, you also have the opportunity to succeed. In most cases you’ll succeed, and when you do you’ll boost your confidence. You can do it; all it takes is a first step.